Betting is a waste. A waste of money, a waste of health, a waste of time. Then you get dependent and if you get hooked, you can’t stop. 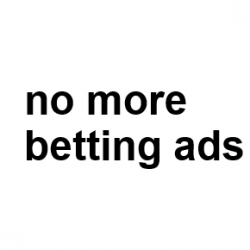 Betawaste,in the Drinkawaste portfolio, focusses on the power Big Betting Companies have to take money from the consumer without having to reveal the true chance of them winning or getting their money back. They know you may win once, twice or maybe more. But over time you lose. Big Gambling wins and profits hugely.